The Series 7™ which was designed by Arne Jacobsen is by far the biggest sells success of a chair in the history of Fritz Hansen and especially in the history of the furniture. The sevener out of compression-moulded inlay is an advancement of the classic Ant™. The four-legged stackable chair can be deemed to be a coronation of the techniqe of the glueing. This technique was perfectionated in the 20s and 30s by Søren C. Hansen, the grandson of the founder Fritz Hansen. 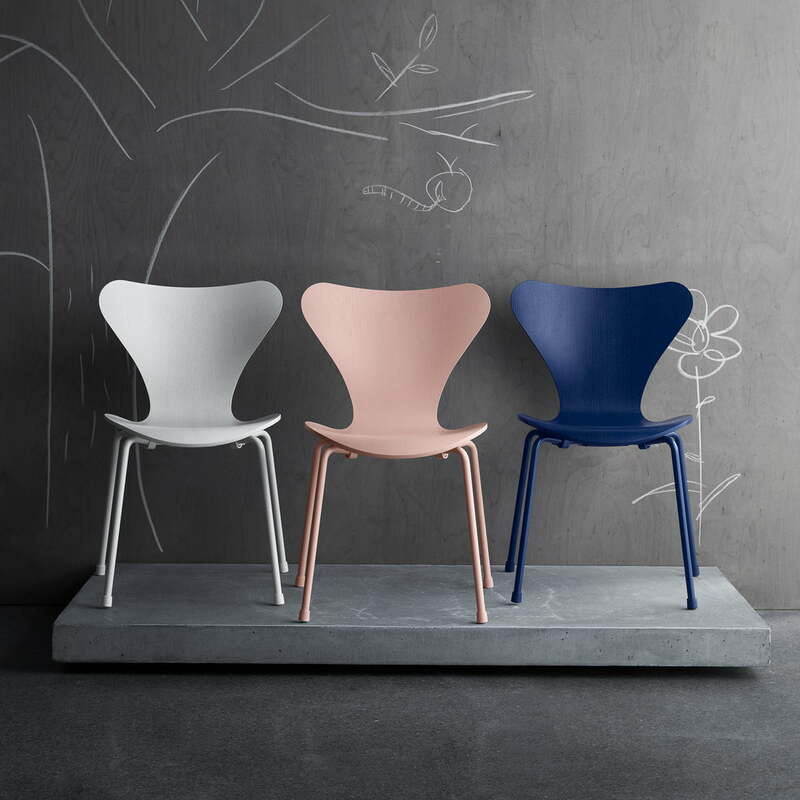 Arne Jacobsen, the legendary Danish designer, created the possibility of the glueing at the creation of the legendary design of this chair. The Series 7 sallegorises the chair in the collection of Fritz Hansen with the biggest implementation. 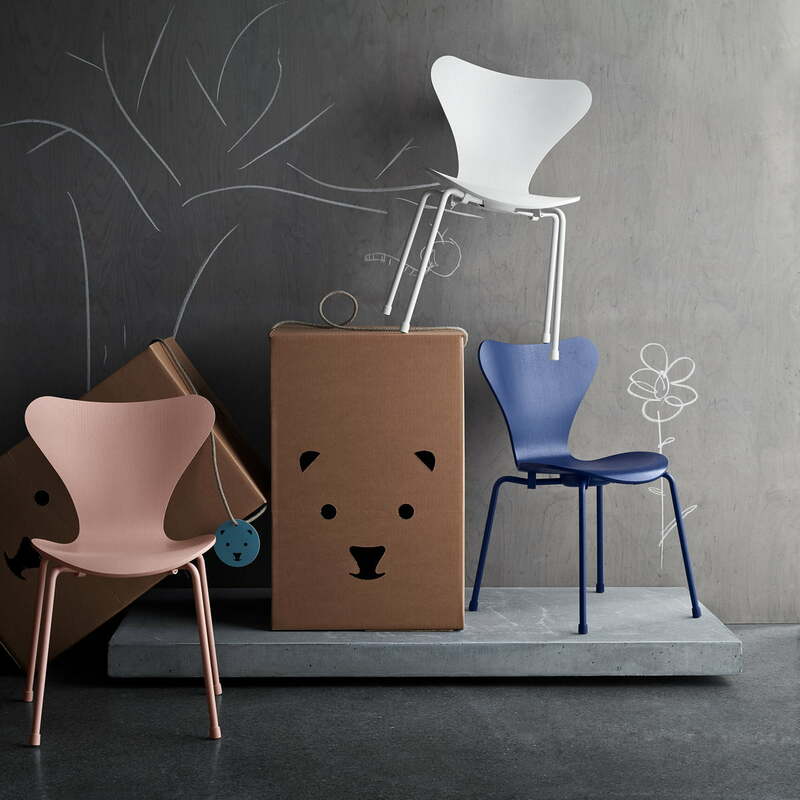 The childrens chair with the seat height of 32 centimetres is ligt, stackable and besides the beech version also available in some lacquers. Its frame is chromed. The seat of the Series 7 Chair consists of one single piece of plywood. It is distorted into two dimensions using steam. Take a peek behind the scenes and find out more about how one of the world’s best-selling chairs is made. Isolated product image of the Fritz Hansen - Series 7 Children's Chair, monochrome white: The classic Series 7 chair in a smaller version, perfect for kids. Lifestyle product image of the Fritz Hansen - Series 7 Children's Chair, monochrome: The classic chair is a wonderful addition to the children's bedroom, introducing a touch of colour. 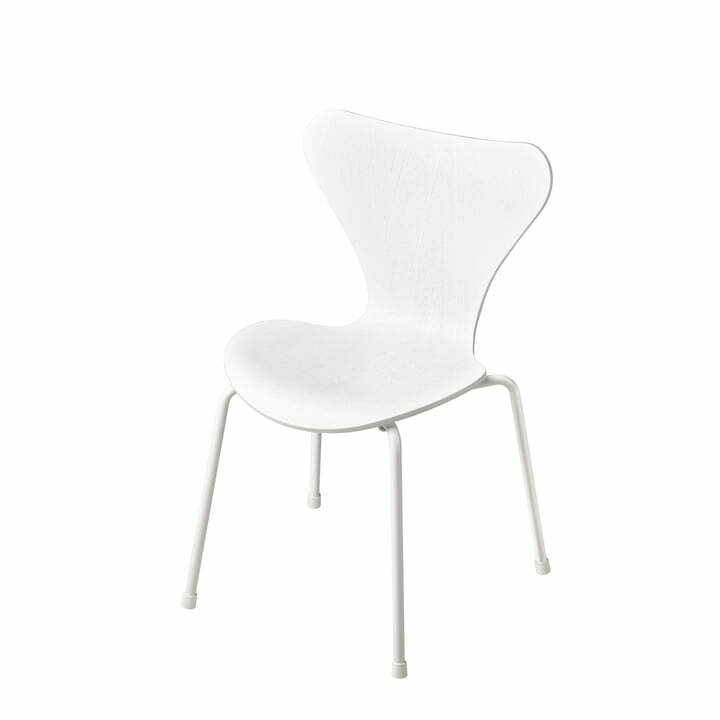 Lifestyle product image of the Fritz Hansen - Series 7 Children's Chair, monochrome: Available in various colours, every model can be combined together. 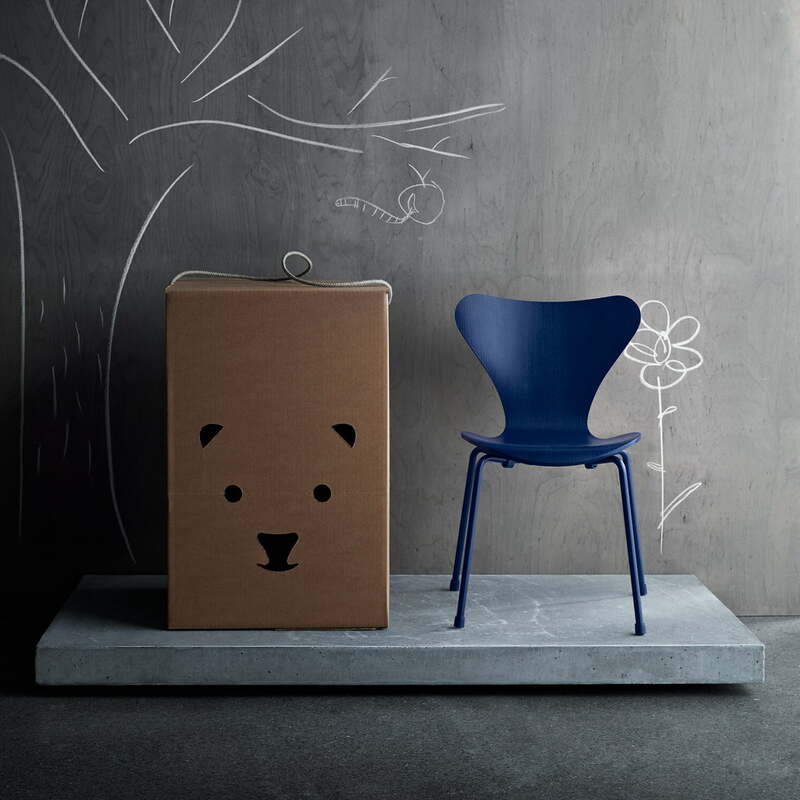 Lifestyle product image of the Fritz Hansen - Series 7 Children's Chair, monochrome blue: The children's chairs are characterised by their own colours, which cover the seat as well as the legs.